Boston's longest serving mayor, has now joined the pool of politicians to opine about the cut and hike proposals and put forth his recommendations for political and financial action. He joins Middlesex and Essex Senator Clark, Woburn State Representative Dwyer, Somerville State Representative Provost, Somerville State Senator Jehlen, and Governor Patrick himself, all of whom have essentially expressed interest and intent to raise the gas tax, which hasn't been raised since 1991, to solve the Commonwealth's growing transport funding problem. As an alternative to fare increases and service reductions, I am eager to work with you, Governor Patrick and the legislature to identify solutions that will address the long-term fiscal debt at the MBTA. Transportation Reform has allowed the Commonwealth to operate much more efficiently, but we also need targeted investment in our entire transportation infrastructure. Despite the severity of the current proposal, it represents a one-year band aid. We are in desperate need of a dedicated revenue source and immediate action is needed to identify sustainable funding for the MBTA. I have long supported efforts to increase the gas tax and am very willing to discuss other revenue options as well. I also hope you consider efforts that may help relieve some of the Big Dig-related debt load that has been unfairly saddled on the MBTA. 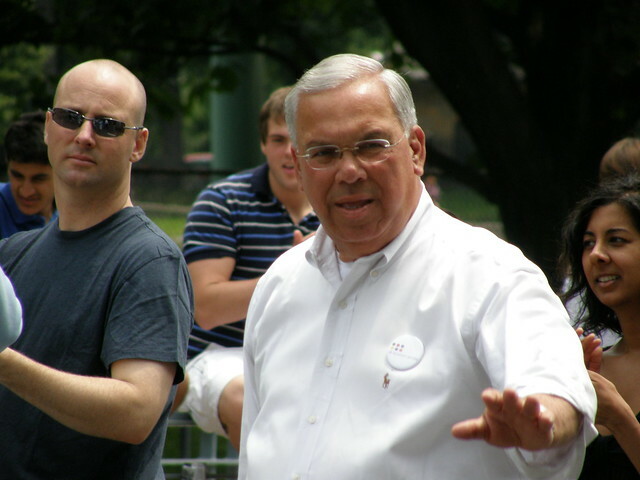 Menino has thus far been very hands-off about an official stance on transportation, but has supported it through various initiatives that enable walkability and better health in Boston, including the build-up of bike lanes, support for the introduction of the HubWay bike rental system, and parking freezes within the city of Boston. While I laud Menino for voicing his support for transit, I also hope he is also willing to offer raising the transit assessment for Boston for the City of Boston to pay more for the transport system that provides its citizens the mobility that enables it to not only be one of the most walkable cities in the US, but also enables it to exist in the first place. Also on his agenda should be true parking reform and better cooperation with the MBTA to properly allocate road space to higher throughput transit services that force buses packed full of riders to compete with single-occupant vehicles during rush hour. The current leader in parking reform has been San Francisco's SFPark program, which has enabled San Francisco to maximise the revenue from its municipal lots and reduce the estimated 30% of city traffic that results from drivers circling the block looking for parking with market pricing of all off- and on-street parking. Further, many cities like New York are reallocating portions or entire lanes of their roads to enable buses to make them more effective at moving people and keep them on schedule. Perhaps the road planners in the Boston Transportation Department need to expand their road design vocabulary and learn how to use the tools available to cities to squeeze more people moving capacity (not car moving capacity) out of their roads through this handy transport game. We will soon find out if any of these politicians can put their money where their mouth is. Will they actually raise the gas tax and how far behind will public support be? I will soon be posting a long overdue MBTA service cuts and fare hikes summary post in order to provide an easy, well-collected primer on the issue at hand, where this should go, and how to take action.